Invites have been sent out to what is widely-expected to be the unveiling of the much-rumored Facebook phone on April 4. 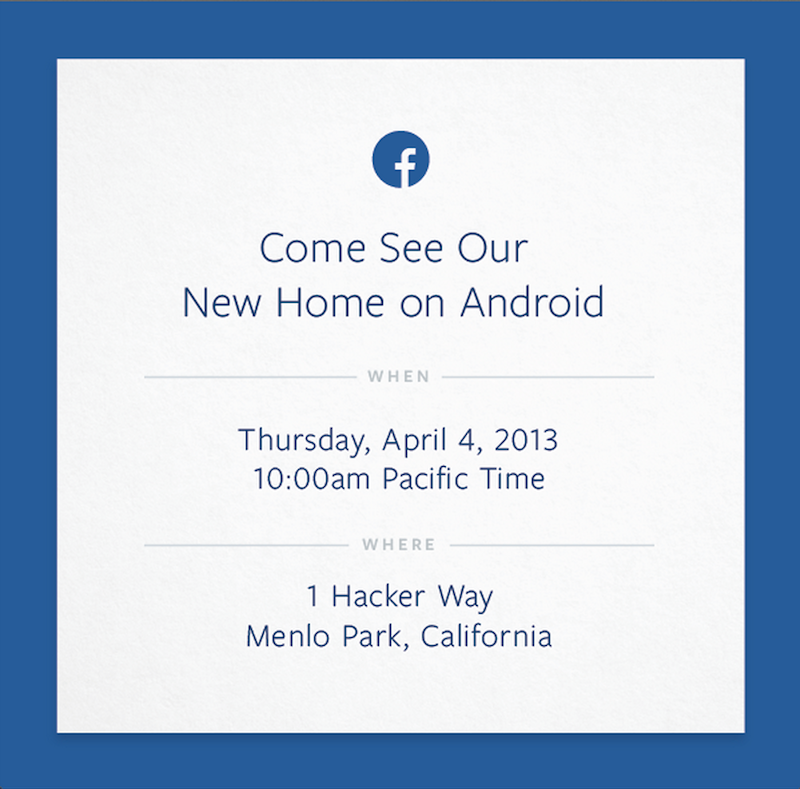 Facebook have invited the press to ‘Come See Our New Home on Android’ at the Menlo Park, California launch event. The Facebook phone is likely to feature a highly modified version of the Android operating system, with the handset itself rumored to be manufactured by HTC. In similar fashion to the way that Amazon have created a unique OS on the Kindle Fire through extensive modifications to Android, Facebook look set to achieve something similar. A Facebook phone has been rumored for several years, but there is still no indication as to exactly what features the device may bring, however deeply integrated social sharing is almost a certainty. Facebook already has a number of successful mobile apps for both iOS and Android, including Facebook Messenger and the new Poke app. Zuckerberg is well-known to want to create an ecosystem where developers can create apps that work on top of Facebook, but has gone on the record to say that it “doesn’t make sense” for Facebook to create their own hardware. What would you like to see from a Facebook phone? Let us know in the comments below.